Ahead of the release of their first album in six years, ‘Dopamine’, Third Eye Blind are pleased to announce details of a UK and European headline tour, which will kick off on November 5th. 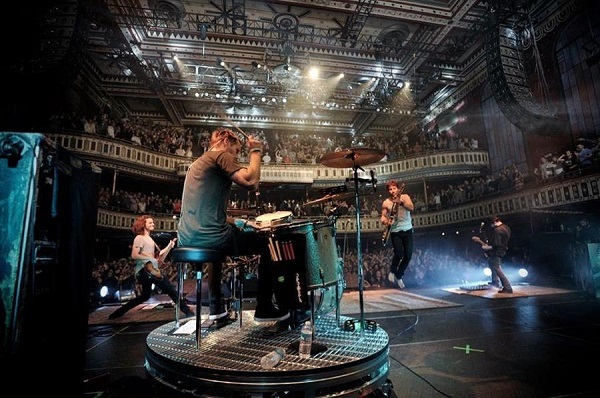 Led by frontman Stephan Jenkins, Third Eye Blind have sold over 12 million records since their inception and completely sold out Shepherd’s Bush Empire and The Forum in Kentish Town on their last UK tour. Their first album in six years, ‘Dopamine’ is out in October and chronicles the tumultuous years since their last release with their signature guitar riffs and rock arrangements. The songwriting chronicles the personal relationships that have come and gone and the rapidly changing world we live in. A lot can change in 6 years and while the sound has progressed, the recordings retain the fierce heartfelt core and quality Third Eye Blind fans new and old have come to love. This winter will see the defining rock artists return to Europe after a series of hugely successful summer dates with Dashboard Confessional in America. The tour travels via Manchester to London before finishing up in Koln on the 9th November.